They came out of Texas like in a black & white horror film: a croaking, four-headed creature with malevolent intent. Rubberneck, the Toadies’ 1994 debut, was selling strong with its brooding, portentous hit “Possum Kingdom.” And then they were gone. “Possum Kingdom” lingered for years on the radio, but the band—notwithstanding sales and a rabid fan base—languished. 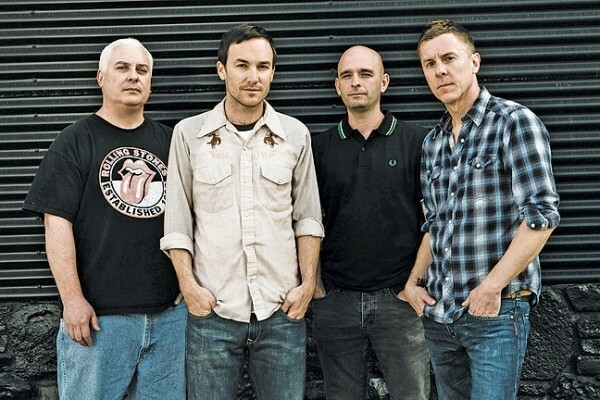 “Surreal,” “weird” and “trying” are how frontman Vaden Todd Lewis describes the period when the Toadies tried to get Interscope Records to release their follow- up, Feeler. The group rollercoastered through alternating yeas and nays, revising, tweaking and re-revising songs. They even started from scratch once. In any good monster movie, the beast always rears its ugly head at least once more. Walking down a street in Beaumont, Texas, fighting high winds, guitarist Clark Vogeler reflects on the past six years. The Toadies recommenced for a series of sold-out shows in 2006, which led to No Deliverance (Kirtland Records, 2008). The enthusiastic reception enabled more touring. They watched their annual Dia de los Toadies festival mushroom, then the band dropped Feeler in 2010. They’re back—for real. “We’re as surprised as anybody that we’re still around,” Vogeler says, laughing. It’s not that surprising. The Toadies had the goods from the beginning: a monstrous sound that was grungy without being dyed-in-the-flannel grunge; literate, twisted lyrics; a no-frills live aesthetic. Not that it would’ve mattered; lots of bands have the stuff and get screwed—but when they return, and if they had a shred of success, they usually do—it’s to little fanfare. What’s surprising is that the Toadies’ fans never left; they remained faithful all those years, downloading bootlegs of Feeler and clamoring for those reunion shows. And when the band complied, the fans bought the tickets, the records and the T-shirts. Therein lies the biggest surprise: The Toadies have a career in the Internet age, and it actually enabled them to take 2011 off. Friday, May 11 (sold out); Saturday, May 12 (all ages); 8 p.m.